The first piece of human technology to become self-aware will be, without a doubt, a printer. In fact, some of them probably already are, and they don’t have nice personalities. Printers can be immensely frustrating and print (or, usually, refuse to print) documents at their own will. That’s why we decided to provide this short guide that will help you tame and befriend your printer. There are two types of printer-related problems. The first type, let’s call them hardware issues, have to with the physical components of the printer and its accessories (connecting cables, ink cartridges, paper jams and so on). Such issues are pretty straightforward and easy to fix. The second type of issues, the software issues, might be a little trickier. You might need to install drivers or to update the software in order to make your printer work. We’ll continue by detailing every type of problem you might encounter while using your printer. There are two types of printers: inkjet printers and laser-based printers. If your documents come out of the printer faded of with streaks, it means that something is wrong with the ink or the toner. Depending on the type of printer you own, there are solutions to this problem. If it’s an inkjet printer, the most common cause of fading and streaking is the print head, which probably requires a cleaning. Check the app that came with the printer and find the cleaning option. Most apps have two cleaning settings: a light clean and a heavy one. Start with the light clean to see if it fixes the problem. The cleaning settings use a lot of ink, so try to use the heavy cleaning option only when absolutely necessary. With laser-based printers, the most probable cause of fading and/or streaking is low toner. The fix is to change it with a new toner cartridge. If you don’t have one available and you need to print something urgently, you can try a little trick: take the cartridge out of the printer and gently tap its sides with your fingers. If there still is some ink inside, the tapping will help redistributing it and might allow you a few more prints. However, it’s definitely not a long-term solution, so make sure you purchase new cartridges. If paper jams continue to occur, you can use special cleaning paper, that is designed to thoroughly clean the rollers, platens, and other components of the paper path. Restart every device. Wireless printers work through your home network, which has several components: the printer, the computer, a wireless access point, and a modem that connects your home network to the Internet. If you have multiple devices (laptops, tablets, smartphones), the home network becomes even more complex. If one of the devices gets hung up, the network stops working. The first step is to RESTART all the devices, including the modem, to get the network humming again. Check the printer’s connectivity by printing a configuration sheet directly from the printer. This test page should contain information regarding the printer’s connectivity status, including its IP address. The printer’s IP address should be similar to all the other addresses in your network. If the configuration sheet returns an IP address starting with 169, it means it couldn’t connect to the network. The next step is trying to reconfigure the printer’s network settings. Turn it off, disconnect it from your network, and reinstall the printer’s software. Once you get the printer to connect to the network, you should try to install special drivers for the printer. Depending on the operating system you use, there are network drivers that will help your printer operate smoothly, such as AirPrint for iOS or Cloud Print for Android. In Windows, go to the Printers control panel. If there is a button that says Add Printer, it means you need to install your printer. Select the button and follow the instructions. If you can see the printer on your computer, but it still doesn’t print, try removing all the other peripherals from the computer and leave only the printer connected. If it works that way, it means that one of your peripherals is causing connectivity issues and you need to find the culprit. In the meantime, you can use the devices one at a time. Upgrading your computer’s operating system is required from time to time and it helps the system working properly. On the other hand, it can cause a little bit of trouble with your peripherals and other devices. 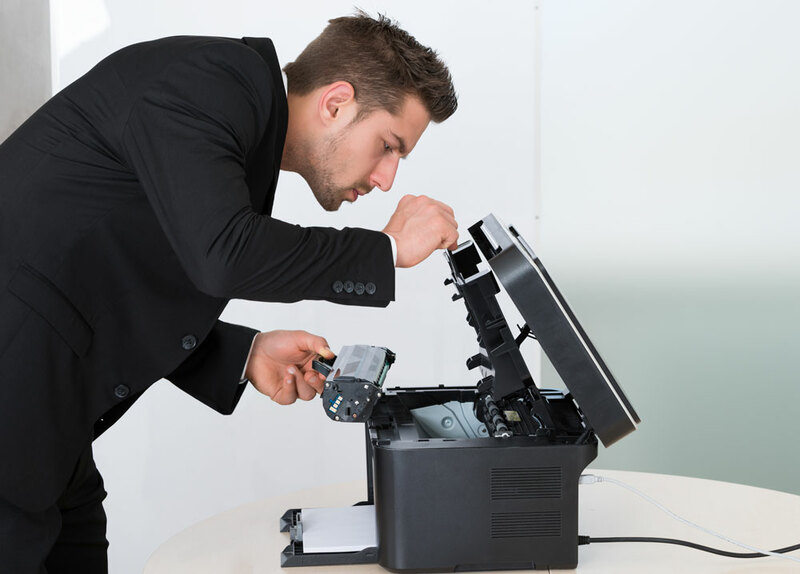 If your printer suddenly stops working after a system upgrade, most likely it needs a new printer driver. Go to the manufacturer’s website and check if they made new drivers available. Follow the instructions and install the newest version of drivers for your printer. If your printer is older, the manufactured might not provide new drivers for it. However, you can try drivers made for new printers from the same series as yours. There is a pretty good chance for your printer to work with those drivers, even if you lose some of the functionality. Hope this helps. If you'd like further assistance with your printer, feel free to give us a call at 253-292-5322 for fast and friendly help.